With the introduction of Bill 163 an Act to amend the Workplace Safety and Insurance Act, 1997 and the Ministry of Labour Act with respect to posttraumatic stress disorder, the Minister of Labour the Hon. Kevin Flynn announced a four-part strategy to accompany the legislation. The strategy included an anti-stigma campaign, increased support for PTSD related research, an annual Summit for First Responders and a Tool Kit for employers and first responders. PSHSA has been working with the Ministry of Labour and Mental Health Professionals to develop and launch: www.firstrespondersfirst.ca. This website offers resources for the First Responder community to understand the various steps of a PTSD program from managing a crisis through to implementing best practices into an existing program. Over the next 5 months we will continue to add resources to the site. The legislation will require employers to complete a PTSD plan and the goal of the website is to simplify the process especially for smaller services across the province. Take advantage of our bundled offer of $700, for both Certification 1 & 2 together PSHSA will donate $40. Ontario Construction Report writes about our donation message here. WSIB is wrapping up the technical consultation phase of its Rate Framework Modernization initiative, for approval of the Rate Framework from its Board of Directors. WSIB will implement a three-step process to classify employers, set premium rates at the class level, and adjust premium rates at the employer level. What does this mean for Ontario's Schedule 1 organizations? An individual employers premiums will gradually shift towards their own claims experience, and its health and safety performance will factor into determining the rate they will pay. Prevention of occupational illnesses and injuries is critical to preparing for the change. Targeted implementation of the Reforms will be no earlier than 2019; this 3-year window presents opportunity for health and safety improvements to influence your organizations future premium rate, and PSHSA can help! Whether you need a strategic assessment, planning support or help with tactical implementation, our consultants deliver tailored, cost-effective health and safety solutions. Find a consultant here. WSIB's Rate Framework Modernization initiative can be found here. If you have not already done so, remember to submit your completed Workplace-Specific Hazard Training Confirmation form to the Ministry of Labour (MOL). There will be a 2-month transition period from March 1 - April 30 for employers and training providers to submit final 1996 JHSC Part 1 Learner tests and Part 2 Workplace Hazard-Specific Training Confirmation forms to the MOL. After April 30, 2016 the MOL will not accept submissions for certifications under the 1996 Certification Training Standard. For more information email the MOL, or call 1-877-202-0008. On March 8 the Government passed Bill 132, an Act to amend various statutes with respect to sexual violence, sexual harassment, domestic violence and related matters as a response to the Government's It's Never Okay: An Action Plan to Stop Sexual Violence and Harassment policy statement announced earlier this year. Bill 132 will amend existing statutes with respect to sexual violence, sexual harassment, and domestic violence. For employers, important changes will stem from Bill 132's proposed amendments to the Occupational Health and Safety Act (the "OHSA"), which include modifying the current definition of "workplace harassment" and imposing additional obligations on employers concerning their workplace harassment policies, programs and investigations. Employer compliance is required by September 8, 2016. Falls continue to be the leading cause of critical injuries and fatalities in construction. In response, the Ministry of Labour is launching a digital and radio awareness campaign about the new training requirements for working at heights. Learn More about the New Training Requirements. Workers may be exposed to elevated levels of radon gas in indoor environments. 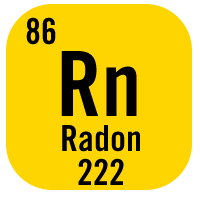 Radon can accumulate to high concentrations indoors in confined or poorly ventilated spaces, as well as in confined subterranean spaces. Learn about the hazards and precautions that can be taken to protect workers. Learn More about upcoming blitzes. The Asthma Society of Canada invites you to register for this unique event that will examine the complex health, social and economic issues related to Sever Asthma and issue a call-to-action for decision makers. Every spring, people of all ages take part in the Steps for Life five-kilometre walk to raise funds to support Canadians affected by workplace tragedy. 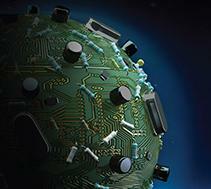 Register now for early-bird savings! 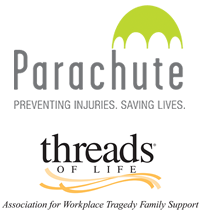 OLTCA and ORCA - Annual Convention and Tradeshow: "Together We Care"
PSHSA will present as part of a panel discussion on Workplace Violence and Harassment as well as have presence at our booth. PSHSA Regional Consultant Carolyn Cuthbertson will be speaking on Assessing and Controlling Workplace Violence Risk by previewing PSHSA's Organizational Risk Assessment tool. This session provides an opportunity to revisit the topic of workplace violence prevention, with a look at a workplace violence risk assessment tool to be used within the long-term care sector. PSHSA Regional Consultant Carolyn Cuthbertson will cover Medical Marijuana in the Workplace. 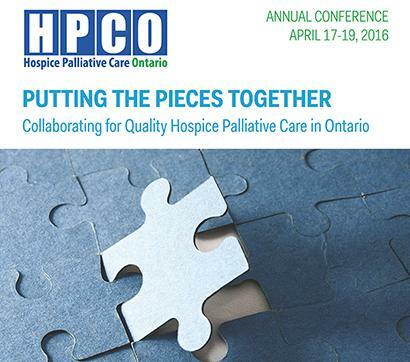 This session provides information relevant legislation, publications and guidelines related to cannabis, recent industry changes, and practical ways to ensure the health and safety of workers and volunteers in hospice and palliative care settings. See the PSHSA Medical Marijuana Fast Fact . Join PSHSA Regional Consultant and Ergonomist Tanya Morose at the Partners in Prevention show as she speaks about new apps replacing traditional measuring tools including: levels, noise and light meters, whole body vibration and even ergonomic apps. Join Monica Szabo, PSHSA Executive Director Government, Municipal and Public Safety as she takes a look at how to best address workplace fatigue. Learn about fatigue and its causes, the importance of sleep and simple steps workers can take to manage fatigue. Read More on PSHSA's work on Fatigue . Dr. Benjamin C. Amick III with PSHSAs Henrietta Van Hulle PSHSA Executive Director Health and Community Service outline how to develop and improve an effective workplace violence prevention program. 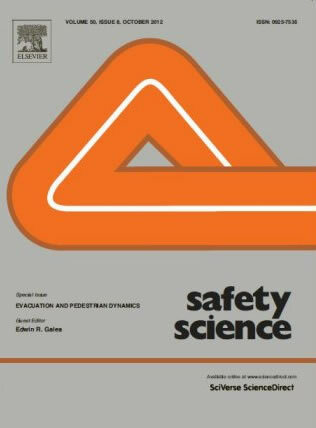 When workplaces make large improvements in occupational health and safety (OHS), it seems some type of external influence helps bring three internal factors into play: an organizational motivation to take action, the introduction of new OHS knowledge, and an engaged health and safety champion who integrates that knowledge. This is one of the conclusions of an Institute for Work & Health (IWH) study recently published by the journal Safety Science (doi 10.1016/ j.ssci.2016.02.023). The exploratory, case-study-based research examined workplaces that made substantial improvements in OHS performance to identify the factors contributing to their "breakthrough change." Ontario Agencies Supporting Individuals with Special Needs (OASIS) and PSHSA have partnered to develop eLearning content for the developmental services community. Workers will have 24/7 access to health and safety information. Five eLearning modules (see links below) cover high priority topics and will empower learners to acquire the skills and knowledge they need to safely and efficiently serve persons supported across Ontario. Funding for this project has been provided by the Ontario Ministry of Community & Social Services. Now that the spring/summer season will soon be upon us, you may be hiring part-time seasonal workers. Employers are required to provide supervision, information and instruction to all workers, including new and young workers, on how to protect their workplace health and safety. Employers need to provide Mandatory Worker Awareness Training as well as Job Specific Health & Safety Training. If fulfilling the role of supervisor as defined in the Occupational Health & Safety Act, Supervisor Awareness Training is required. PSHSA believes that by engaging stakeholders we can improve our understanding of what factors indicate compliance risk and where to focus our energies in product and service development. Stakeholders also contribute to strengthening the customer perspective and how we can tailor the end product to best address employers and workers health and safety needs. As seasons change its a good idea to re-visit the basics of ladder safety to reduce incidents. All too often we hear or read about another workplace injury resulting from an incident involving a ladder. Over the years one might think that these ladder incidents would disappear with the increased focus on proper ladder use during Ministry of Labour enforcement blitzes and implementing controls realized through our own internal accident investigations. However the misuse, lack of maintenance and improper storage of this often used equipment still occurs. Read More on Page 7 in Ontario Building Officials Association Journal. Today, healthcare workers have 1.5 times the number of lost-work days than the average Canadian worker. In the changing workplace Executive Director Henrietta Van Hulle and her team explore and address Workplace Violence in healthcare, with a focus on managing aggressive responsive behaviours. 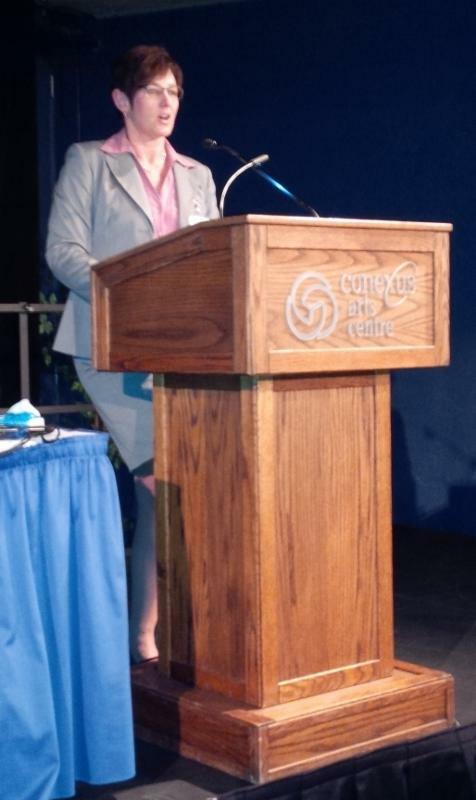 Henrietta recently spoke in Regina at the Saskatchewan Association for Safe Workplaces in Health Conference and Annual General Meeting on Violence Prevention in Healthcare. Henrietta has led the development of the PSHSA toolkit for preventing Violence and Responsive Behaviours that will soon be available. She also participates on the joint MOL/ MOHLTC Leadership Table on Workplace Violence prevention in healthcare. Stay current with our efforts in 2016 as we work to continually add resources for the Health and Community Services Sector. Read More.